How long do I have to sue for a truck accident in Michigan? This is turning into truck week on the Michigan Auto Law blog. I’ll be speaking twice this week at legal seminars teaching attorneys how to better litigate and settle truck accident injury cases, and Tom James will be speaking this Sunday in Los Angeles, California, on comparing and contrasting how truck wreck cases are similar and also very different from motor vehicle accidents at the Motor Vehicle Accident Litigation Seminar at the AAJ convention. So it’s good timing that this week I received a question from someone on how long they have to sue if they had a daughter who was injured in a crash caused by a tractor-trailer. I’ll also be posting a series of blog posts in the next few weeks on this topic, with some of the most common questions I often receive from people after they’ve been injured in truck accidents. Today we will review the statute of limitations to file a truck accident case in Michigan. A “statute of limitations” means there’s a certain length of time you have to sue if you’ve been injured. All states have limitations on the time you have to file a lawsuit, but the time can vary dramatically for different states. The law in this state is that a truck accident victim has three years from the date of the crash with a commercial truck or tractor trailer to file a lawsuit — unless it’s a case involving a minor child. In that instance, the child has 12 months from his or her 18th birthday. 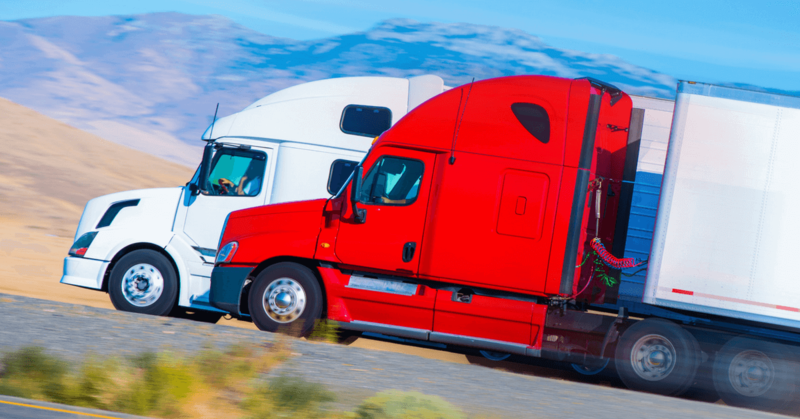 A first-party truck accident lawsuit in Michigan is very different from other states because it doesn’t involve the truck that caused the wreck and the injuries at all. Instead, the “first-party” No Fault case is between the injured truck accident victim and his or her own auto insurance company for No Fault PIP benefits. No Fault benefits, also called No Fault personal injury protection or “PIP” benefits, includes reimbursement of medical expenses and medical bills related to the care and treatment of any personal injuries from the truck accident, lost wages for up to the first three years following the crash, household replacement services (chores/help with children) and attendant care (in-home nursing services). A third-party tort or injury truck accident lawsuit is between the injured truck accident victim and the at-fault driver and company. In this case, the truck accident victim can pursue non-economic damages for pain and suffering compensation for his or her personal injuries. Feel free to call our experienced attorneys at 800-777-0028 for free legal advice about your own circumstances if you have questions. Michigan law is very complicated, and very different from the rest of the nation. Having an attorney who can tell you what your legal rights and options are without any obligation or cost is always a good idea.